The Atlanta Beltline has been transforming intown neighborhoods since it’s opening just a few years ago. The first phase Eastside Trail travels from Old Fourth Ward in downtown Atlanta through Inman Park to Midtown. It’s since been extended south to Cabbagetown and soon Grant Park. Warm, sunny weekends attract a parade of people from all across metro Atlanta. 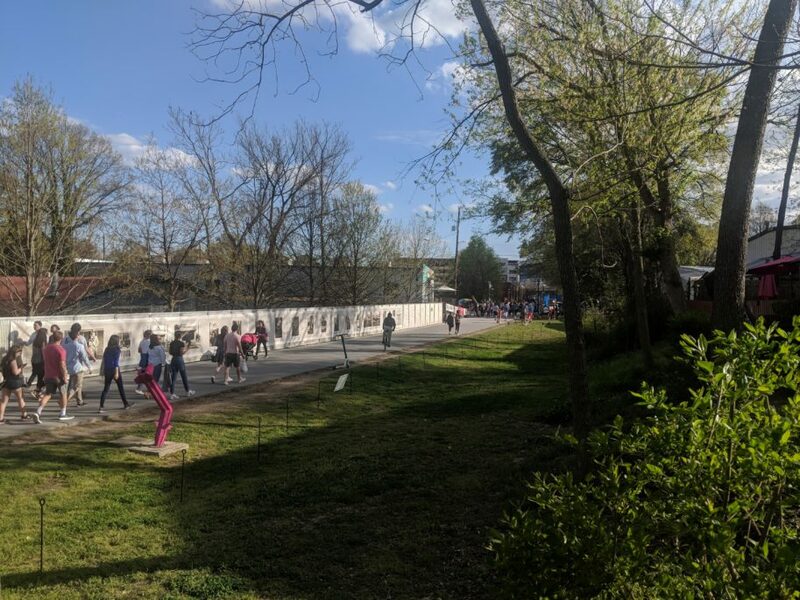 The overgrown rail corridor has become a central artery flowing with Atlantans walking, running, riding, skating and scooting through neighborhoods filled with new restaurants, bars, retail and other improvement projects. Events such as free yoga by King of Pops attracts hundreds of practitioners every Sunday while the Historic Fourth Ward Park hosts many festivals. Attractions like Krog Market and Ponce City Market offer food and drink options everyday. The Real Estate Company recognizes the the positive impact the Beltline has made on our communities and we’re committed to helping it continue. Commitment to community is a fundamental part of our mission. That’s why we adopted a section of the Beltline for regular cleanups before the Beltline was even paved. 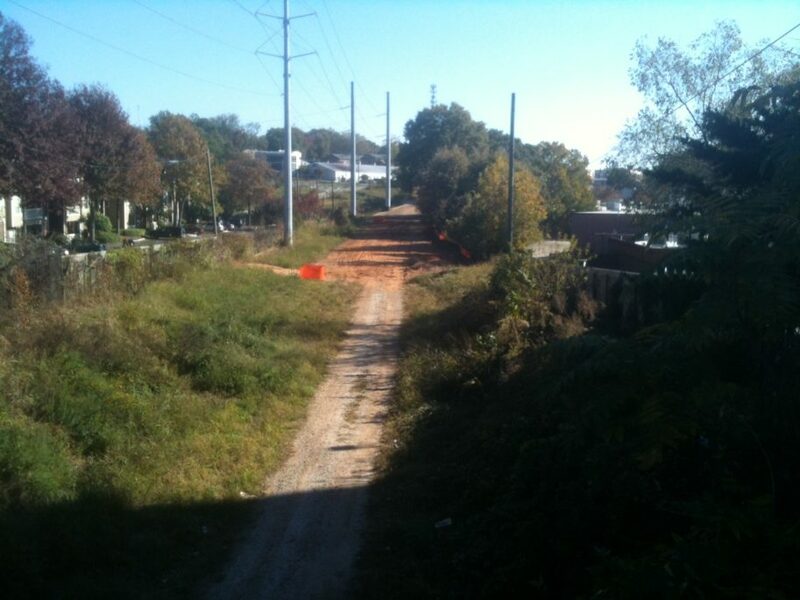 Since then, we’ve joined multiple Atlanta Beltline clean up efforts. The Real Estate Company also gives back through volunteer hours and financial donations. Our team members also volunteer with other local organizations, such as serving on the Board of Trees Atlanta and serving as president of the Stanford Club of Georgia. We’ve also made financial donations to organizations such as the Fernbank Museum, Trees Atlanta, and Next Generation Men and Women. 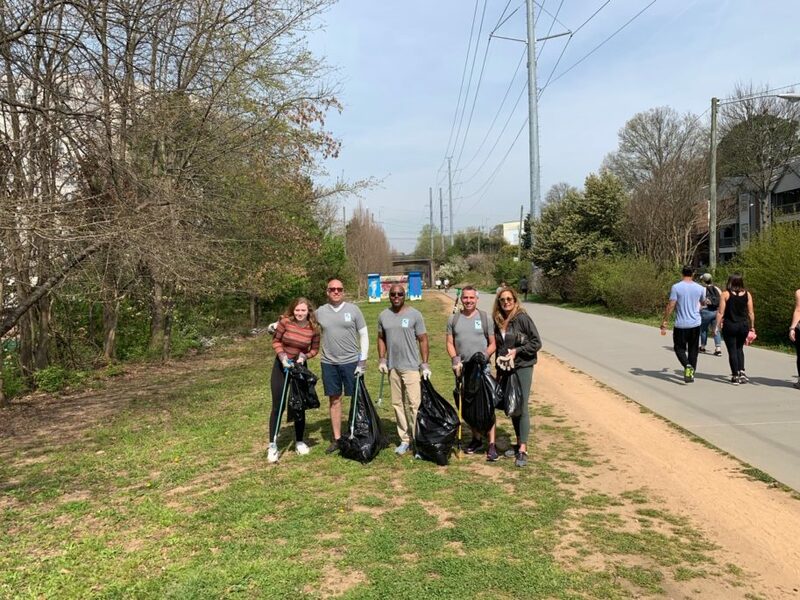 Drop us a note if you would like to join us and lend a hand on our next Beltline Clean Up. Or if you see us out and about, stop and say hello. If you prefer to go it alone, become a supporter or become a sponsor. Help the Atlanta Beltline to continue giving back to our communities.